Singing Crystal Bowls & More! Elivia Melodey’s site offers the largest selection of crystal singing bowls available, Crystal Vibration singing bowl CDs and other sound healing products. Schedule your psychic readings with this Spiritual Medium or spiritual service here and visit her calendar for her upcoming concerts, trainings and workshops. Reverend Elivia’s innovative palette is designed to lead you to illumination, renewal, and discovery though music, channeled spirit messages and development classes in sound, mediumship and crystals. 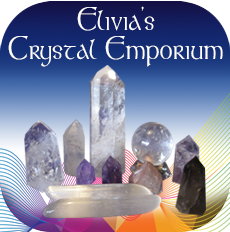 Elivia Melodey’s Crystal Vibrations Shop offers specials on the purchases of frosted, clear, hand held and Alchemy crystal singing bowls, singing crystal bowl CD’s, and related sound healing products including the Deva’s Gift and Freenotes. 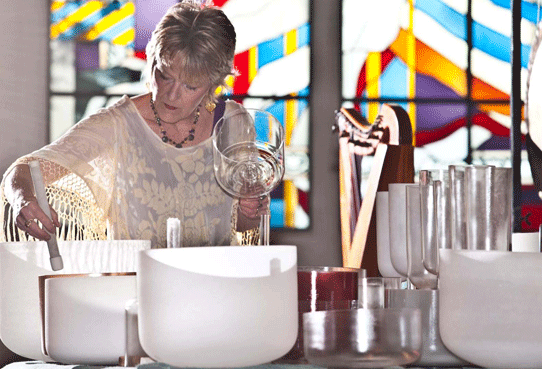 If you’re looking for one singing bowl or want to put together a set, work with an expert! We carry one of the largest selections of singing crystal bowls available online and are happy to assist you with your purchase.. 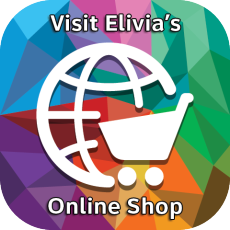 If you’re in the Southern California area, be sure to inquire about visiting Elivia’s Crystal Emporium for reduced prices on singing crystal bowls in stock. Whether you need traditional, ancient, or new age treasures–you’ll find them all in our Online Shop. 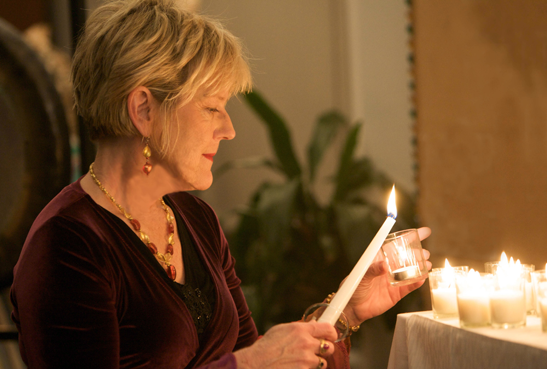 As a Spiritualist Medium and ordained minister, Reverend Elivia Melodey offers a wide variety of services that she can customize to your needs. She will work with you to determine the best way to help you achieve your spiritual and life goals. As a psychic medium she can connect with loved ones who have crossed over, access your akashic records and to connect to Spirit for day to day issues. She’s also a medical intuitive, animal communicator, and a past life regression therapist. Her nondenominational services include marriage ceremonies, baptisms, life passage ceremonies, distant healings, space clearings and house blessings. Reverend Melodey can conduct church services or sacred music performances. Learn about Elivia’s unique mediumship development classes and workshops, crystal and gemstone healing classes, sound healing singing crystal bowl intensives, crystal bowl concerts, and personal development seminars here. Reverend Elivia Melodey is dedicated to world healing. She offers a wide variety of services that she will customize to your needs or the needs of your group or organization. 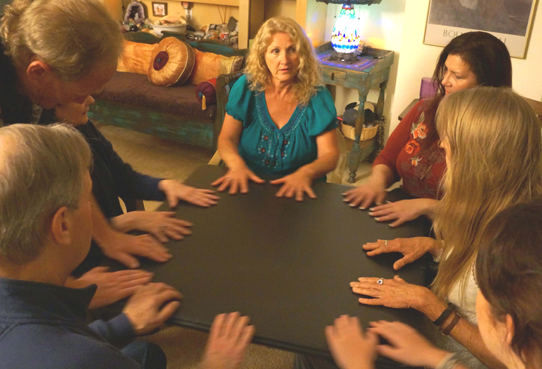 Elivia offers unique mediumship development classes and workshops, crystal and gemstone healing classes, sound healing singing crystal bowl intensives, crystal bowl concerts, and personal development seminars. Check Elivia’s Calendar for upcoming Events. When I first heard Elivia’s music 4 years ago, I couldn’t walk unaided. I had a wheelchair for long distances and used a cane the rest of the time. After her concert I walked to my car without pain. Elivia is a phenomenal medium and a great spiritual counselor I highly recommend her.